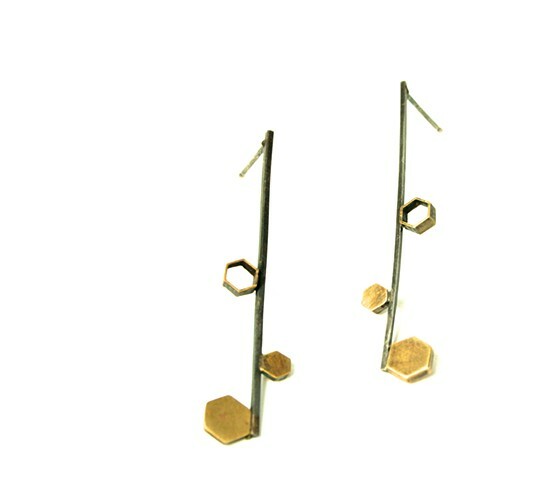 Referencing nature and leaving some comments, this earring has modern elegance and lasting lines. It is also a sure fit with anything else you will wear. Oxidized square silver bar holds hexagon forms of varying sizes. Silver posts and findings.